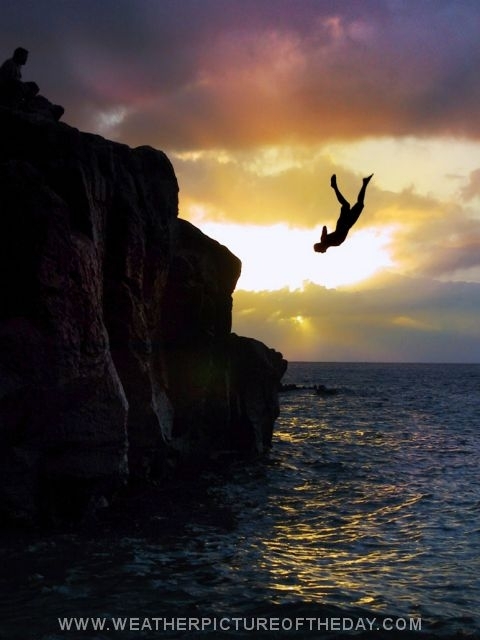 A youth spots his landing as he jumps off the popular rock at Waimea Bay on the North shore of Oahu. I had been shooting real estate all day and stopped off at the beach to relax. I had one shot left on my CF card and this was the result.